On 11th December we conducted a Signature Campaign at New Bus stand, Musiri with the theme “Working towards an AIDS free Generation”. Mr.D.Balu, Chairman/District Municef, Taluk Legal Services Committee signed the board to kick start the signature campaign, followed by Mr.N.Kamaraj, Judicial Magistrate, Mr.S.Rathanaval, Ex. M.L.A., Bar Council President, Advocates, Mr.K.B.Raju, Sub-Inspector of Police, Highway Police constables, Ward members, school students and public. The board had collected around 500 signatures from people who stopped with curiosity to learn what’s put up. On 7th December 2012, SPPD with Ford India organized the Valedictory function for the 1st batch of trainees who had successfully completed their Tailoring Course. They were awarded with certificates and course materials. The programme was honoured by Mr.Gopikannan, Chairman, Mr. Tom, Executive Director, Ford, Mr.Neelakandan, Mr.Arthur General Manager and Mr.Narayanapillai, General Manager of Ford and Mr.Kamalkannan, Ward Councillor. This course carried on from April to November 2012. Free training on Tailoring Course was given to all the trainees by SPPD and Ford India under the project banner “Operation Goodwill”. 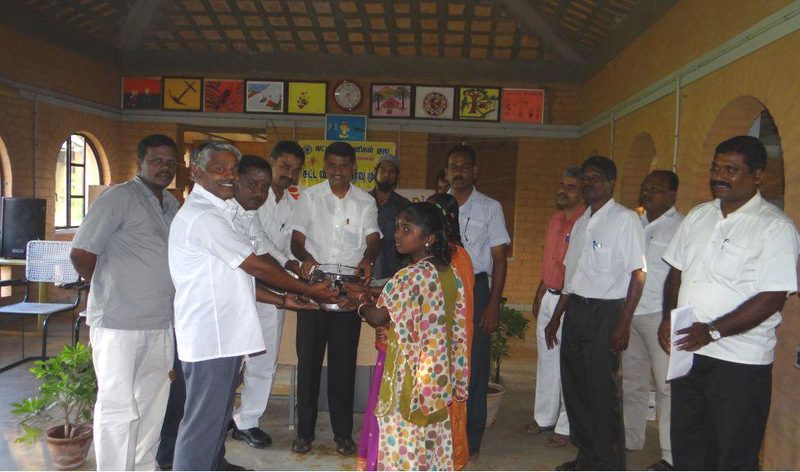 On 5th December 2012, 25 advocates from Musiri Legal Aid together with students and staff from Saraswathy Vidyalaya Matriculation School, Lalapettai organized an Awareness programme for our home children. At the end of the programme, stationery items like pens, pencils, erasers and geometry box, playing materials like foot ball, bats, balls and cookery utensils were gifted to the children of Rosaleen Larkin Children’s Home. The programme ended with lunch for the students and the guests who participated in the function.